According to data released this week, Nintendo's Wii games console out-sold Sony's PlayStation 3 in the US in December by over 100,000 units. However, despite the strong sales of the less powerful Wii, Microsoft's Xbox 360 left them both in its wake, selling over one million units in the run-up to Christmas. In Japan, the Wii had racked up sales just shy of one million by the end of 2006. At 980,000 units sold, it easily beat the PS3's tally of 460,000 units. It's not clear how many Xbox 360s were sold. The PlayStation 3 was released in the US on 11 November, 2006, with 400,000 units available initially. It has yet to be launched in Europe. 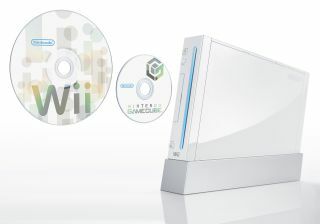 The Nintendo Wii launched on 6 November, 2006, with Nintendo making 600,000 units available. It has since launched worldwide, with many UK stores selling out. The Xbox 360 was released in late 2005 and is now in abundant supply. Microsoft is claiming to be close to selling its 10-millionth console. Sales tracking site NexGenWars.com confirms this, reporting 9.8 million sales of the Xbox 360 to date.